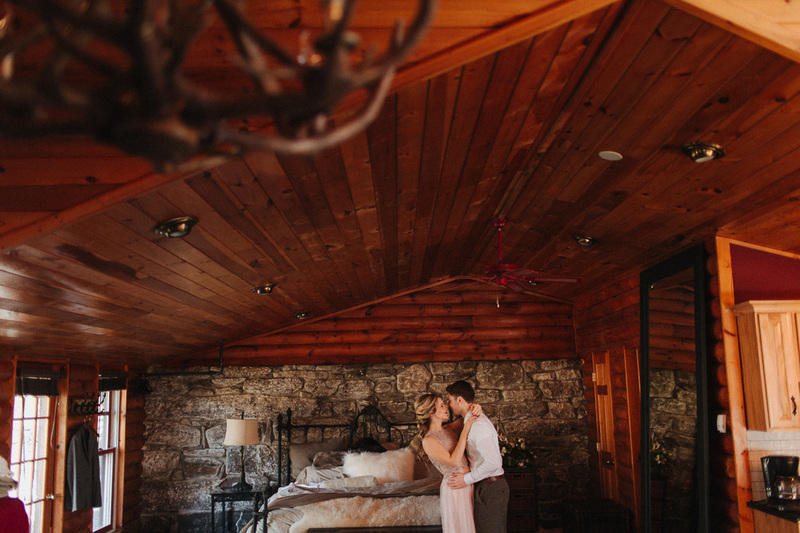 In the midst of flannel season we’re reminiscing about one of our favorite shoots at Cedar Lakes Estate, nestled in the Catskills . 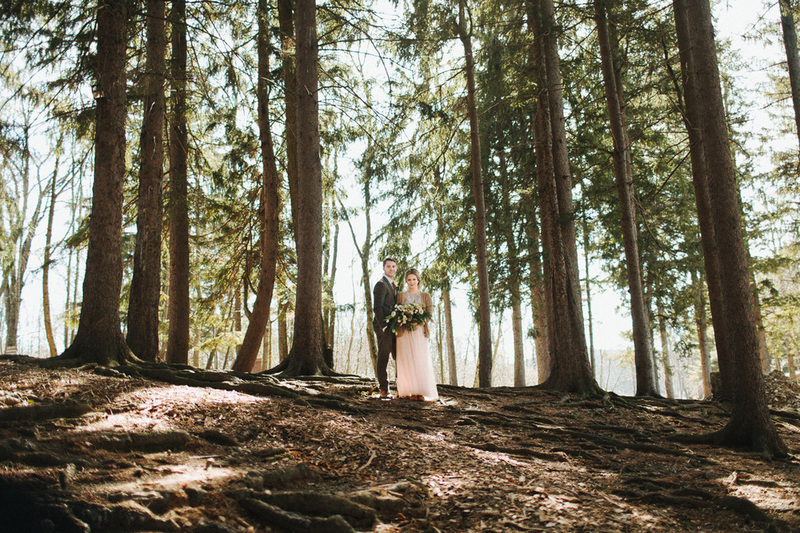 This shoot was all about being together on your wedding day, embracing your fiance and embracing the colder temps. 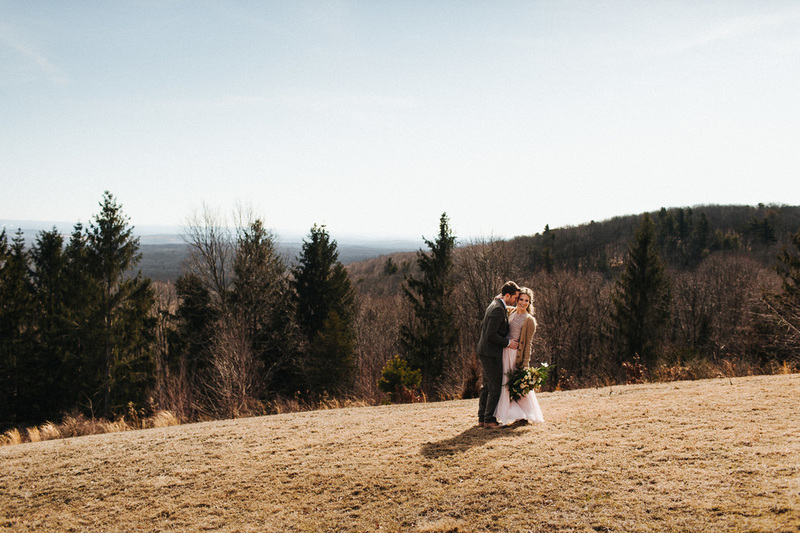 Often couples look at cooler weather as a negative but we wanted to show that cold weather weddings can be just as inviting as warmer ones! In my experience, I’ve found that oftentimes couples struggle with what to do in the hours before their big moment. Typically, the most pressing question related to this is “Do we want to see each other for the first time as we walk down the aisle”? “Should we have a first look?” There are no wrong answers! Recently, we’ve found more and more couples who are choosing a third option: getting ready together! 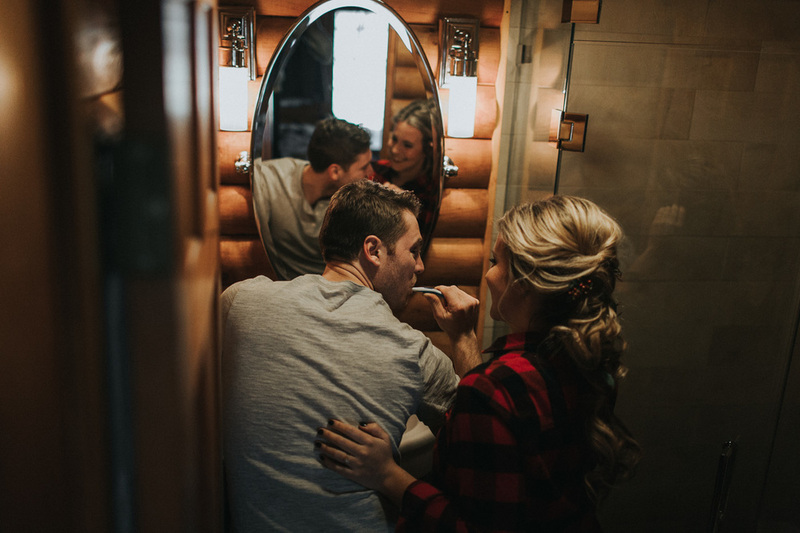 Sometimes it’s overwhelming for couples to realize they are going to be the center of everyone’s attention for a full day, especially if being in the limelight isn’t the dream, getting ready together can help ease some of that anxiety. Wake up, make breakfast, help one another get dressed, have some time to yourselves, be in the moment! Taking the time in the morning to get ready together and focus on each other and what’s important to you it can really be a kickstart for a great day. 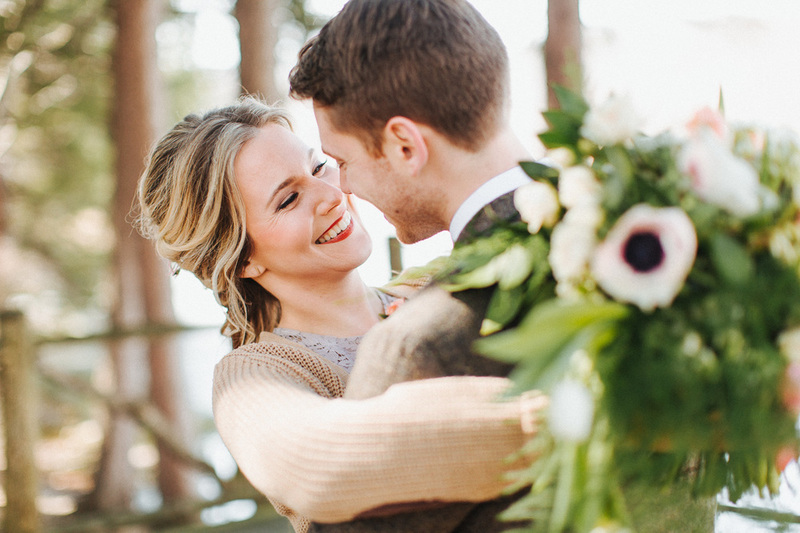 For this shoot, we chose to embrace the elements and have the ceremony in front of the ice covered lake (even with Cedar Lake Estates having an option for an indoor ceremony) . Many ceremony backdrops tend to draw your eyes up high, but we kept this one low to the ground to keep the focus on the couple with the icy lake and the tall pine trees as their beautiful background. 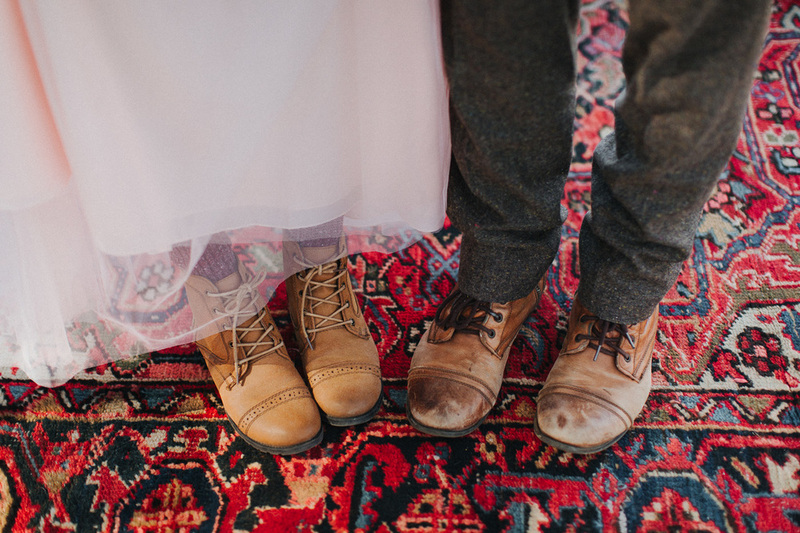 I love when couples pull elements of their personal style into their wedding attire! 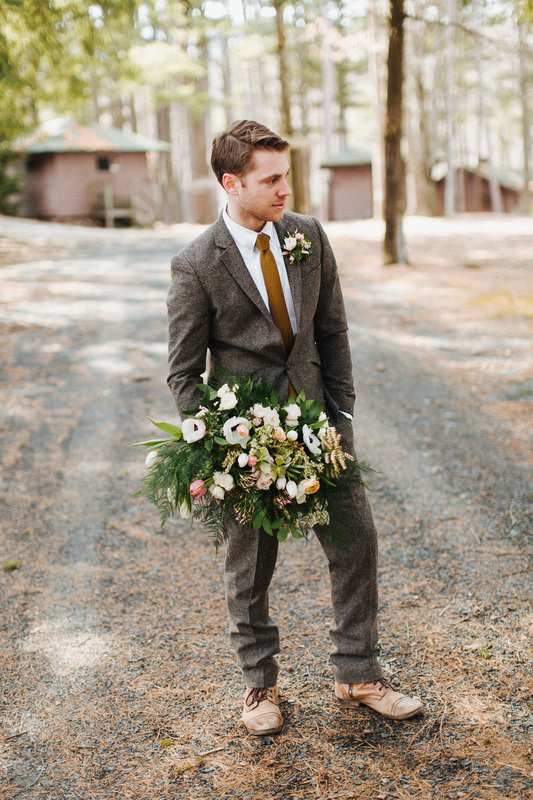 The groom wore his personal ASOS tweed suit while the bride wore her comfy cardigan over her two-piece BHLDN dress. We pulled in pops of citrus to stand out from the neutral palette to add some drama and dimension for a more formal setting. To add an element of whimsy grapefruits were used for place cards. The citrus touches were carried over into the dessert display and the yummy arrangements of sweets. This shoot was beautiful, but also served as a reminder to myself: no matter what we consider to be something that you “must do” in wedding tradition doesn’t mean there aren't other ways to approach your day. You want to see your loved on in the morning before any official first look? Do it. You want to snuggle in with your comfy cardigan despite people urging you to not cover your pretty dress? Do it. Of course, it’s always smart to take advice from family and friends and listen to your planner's recommendations. In the end though, you know you the best! Stick to your gut and we’ll always support that.